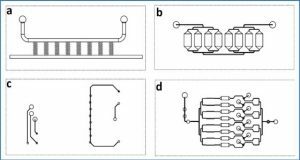 Lineage specification is an essential process in stem cell fate, tissue homeostasis and development. 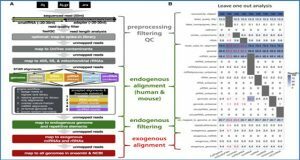 Microenvironmental cues provide direct and selective extrinsic signals to regulate lineage specification of stem cells. 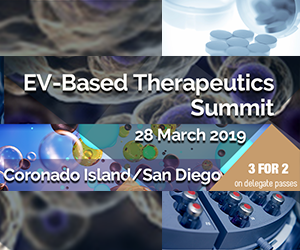 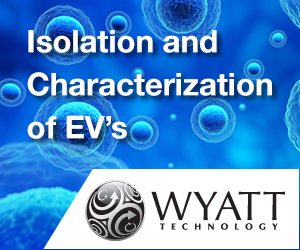 Microenvironmental milieu consists of two essential components, one being extracellular matrix (ECM) as the substratum, while the other being cell secreted exosomes and growth factors. 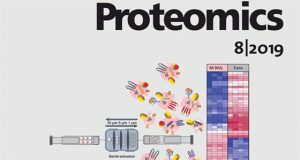 ECM of differentiated cells modulates phenotypic expression of stem cells, while their exosomes contain phenotype specific instructive factors (miRNA, RNA and proteins) that control stem cell differentiation. 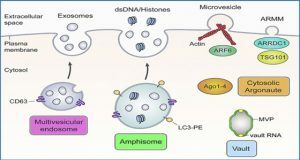 Researchers from the West Virginia University School of Medicine demonstrate that osteoblasts-derived (Os-Exo) and adipocytes-derived (Ad-Exo) exosomes contain instructive factors that regulate the lineage specification of human mesenchymal stem cells (hMSCs). 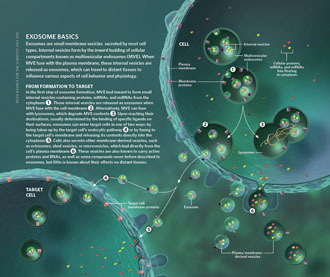 Analyses of exosomes revealed the presence of transcription factors in the form of RNA and protein for osteoblasts (RUNX2 and OSX) and adipocytes (C/EBPα and PPARγ). 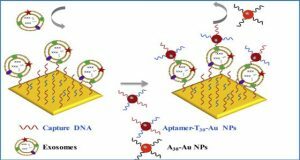 In addition, several miRNAs reported to have osteogenic and adipogenic differentiation potentials are also identified in these exosomes. 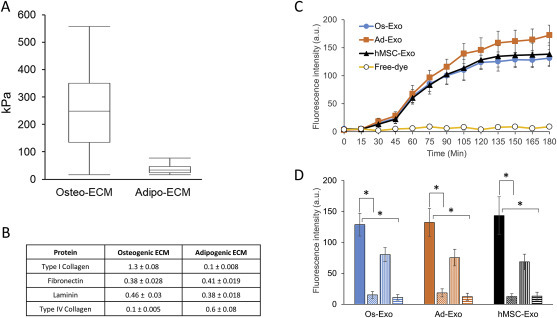 Kinetic and differentiation analyses indicate that both osteoblast and adipocyte exosomes augment ECM-mediated differentiation of hMSCs into the respective lineage. 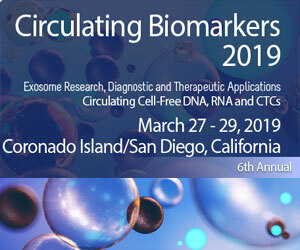 The combination of osteoblast/adipocyte ECM and exosomes turned-on the lineage specific gene expressions at earlier time points of differentiation compared to the respective ECM or exosomes administered individually. 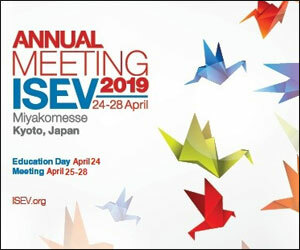 Interestingly, the hMSCs differentiated on osteoblast ECM with adipogenic exosomes showed expression of adipogenic lineage genes, while hMSCs differentiated on adipocyte ECM with osteoblast exosomes showed osteogenic lineage genes. 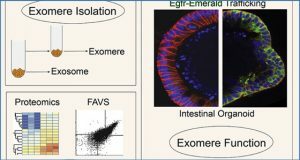 Based on these observations, the researchers conclude that exosomes might override the ECM mediated instructive signals during lineage specification of hMSC.